Learning disabilities are neurologically-based processing problems. 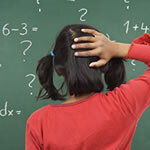 These processing problems can interfere with learning basic skills such as reading, writing and/or math. They can also interfere with higher level skills such as organization, time planning, abstract reasoning, long or short term memory and attention. It is important to realize that learning disabilities can affect an individual’s life beyond academics and can impact relationships with family, friends and in the workplace. Since difficulties with reading, writing and/or math are recognizable problems during the school years, the signs and symptoms of learning disabilities are most often diagnosed during that time. However, some individuals do not receive an evaluation until they are in post-secondary education or adults in the workforce. Other individuals with learning disabilities may never receive an evaluation and go through life, never knowing why they have difficulties with academics and why they may be having problems in their jobs or in relationships with family and friends. Learning disabilities should not be confused with learning problems which are primarily the result of visual, hearing, or motor handicaps; of intellectual disability; of emotional disturbance; or of environmental, cultural or economic disadvantages. Generally speaking, people with learning disabilities are of average or above average intelligence. There often appears to be a gap between the individual’s potential and actual achievement. This is why learning disabilities are referred to as “hidden disabilities”: the person looks perfectly “normal” and seems to be a very bright and intelligent person, yet may be unable to demonstrate the skill level expected from someone of a similar age. A learning disability cannot be cured or fixed; it is a lifelong challenge. However, with appropriate support and intervention, people with learning disabilities can achieve success in school, at work, in relationships, and in the community. In Federal law, under the Individuals with Disabilities Education Act (IDEA), the term is “specific learning disability,” one of 13 categories of disability under that law. “Learning Disabilities” is an “umbrella” term describing a number of other, more specific learning disabilities, such as dyslexia and dysgraphia. Find the signs and symptoms of each, plus strategies to help below. Also known as Central Auditory Processing Disorder, this is a condition that adversely affects how sound that travels unimpeded through the ear is processed or interpreted by the brain. Individuals with APD do not recognize subtle differences between sounds in words, even when the sounds are loud and clear enough to be heard. They can also find it difficult to tell where sounds are coming from, to make sense of the order of sounds, or to block out competing background noises. 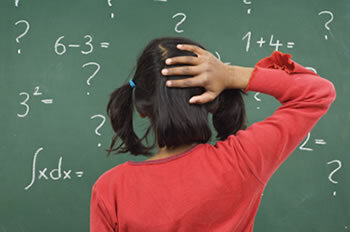 A specific learning disability that affects a person’s ability to understand numbers and learn math facts. Individuals with this type of LD may also have poor comprehension of math symbols, may struggle with memorizing and organizing numbers, have difficulty telling time, or have trouble with counting. 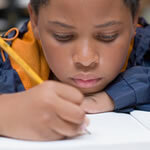 A specific learning disability that affects a person’s handwriting ability and fine motor skills. Problems may include illegible handwriting, inconsistent spacing, poor spatial planning on paper, poor spelling, and difficulty composing writing as well as thinking and writing at the same time. A specific learning disability that affects reading and related language-based processing skills. The severity can differ in each individual but can affect reading fluency, decoding, reading comprehension, recall, writing, spelling, and sometimes speech and can exist along with other related disorders. 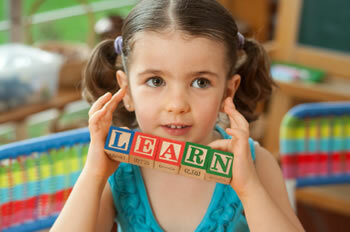 Dyslexia is sometimes referred to as a Language-Based Learning Disability. A specific type of Auditory Processing Disorder (APD) in which there is difficulty attaching meaning to sound groups that form words, sentences and stories. While an APD affects the interpretation of all sounds coming into the brain, a Language Processing Disorder (LPD) relates only to the processing of language. 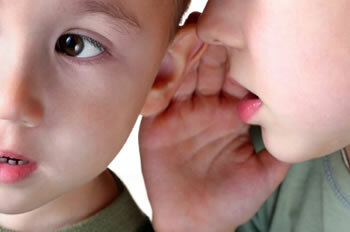 LPD can affect expressive language and/or receptive language. A disorder which is usually characterized by a significant discrepancy between higher verbal skills and weaker motor, visual-spatial and social skills. Typically, an individual with NLD (or NVLD) has trouble interpreting nonverbal cues like facial expressions or body language, and may have poor coordination. A disorder that affects the understanding of information that a person sees, or the ability to draw or copy. 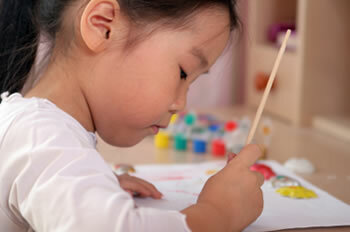 A characteristic seen in people with learning disabilities such as Dysgraphia or Non-verbal LD, it can result in missing subtle differences in shapes or printed letters, losing place frequently, struggles with cutting, holding pencil too tightly, or poor eye/hand coordination. 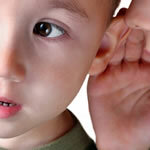 Adversely affects how sound that travels unimpeded through the ear is processed and interpreted by the brain. Also known as Central Auditory Processing Disorder, individuals with Auditory Processing Disorder (APD) do not recognize subtle differences between sounds in words, even when the sounds are loud and clear enough to be heard. They can also find it difficult to tell where sounds are coming from, to make sense of the order of sounds, or to block out competing background noises. Has difficulty processing and remembering language-related tasks but may have no trouble interpreting or recalling non-verbal environmental sounds, music, etc. Have the student constantly verbalize concepts, vocabulary words, rules, etc. Affects reading and related language-based processing skills. The severity of this specific learning disability can differ in each individual but can affect reading fluency, decoding, reading comprehension, recall, writing, spelling, and sometimes speech and can exist along with other related disorders. 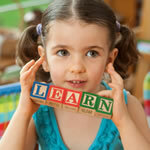 Dyslexia is sometimes referred to as a Language-Based Learning Disability. Has trouble interpreting nonverbal cues like facial expressions or body language and may have poor coordination. Non-Verbal Learning Disability (NVD or NVLD), is a disorder which is usually characterized by a significant discrepancy between higher verbal skills and weaker motor, visual-spatial and social skills. Affects the understanding of information that a person sees, or the ability to draw or copy. 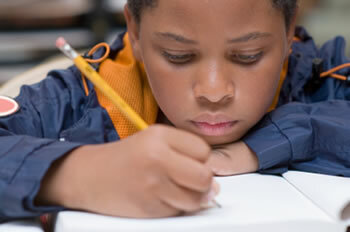 A characteristic seen in people with learning disabilities such as Dysgraphia or Non-verbal LD, it can result in missing subtle differences in shapes or printed letters, losing place frequently, struggles with cutting, holding pencil too tightly, or poor eye/hand coordination.